Google officially launched its Accelerated Mobile Pages (AMP) project Wednesday, representing an attempt to shake up the stagnant world of search services and compete with Facebook by accelerating mobile Web page load times through an open-source framework giving mobile Web sites a way to compete with the seamless and quick response times of mobile apps. A search triggers the query and returns AMP-optimized content first in the results page in Chrome browsers, says Jonathan Savage, SVP of product at sports content site theScore, one of the first publishers to roll out Web pages using the AMP framework. The variety of formats for mobile browser-based searches make the Web search experience challenging. Google estimates that people abandon Web sites after three seconds if the content doesn't load quickly, and 29% of smartphone users will switch to another site or app if it doesn't satisfy their needs. Of those who switch, 70% do so because of lagging load times and 67% will switch if takes too many steps to purchase or get desired information. 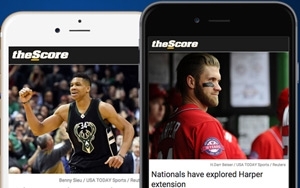 theScore, along with dozens of publishers worldwide such as ABC News, The New York Times, and The Huffington Post, have implemented the open source framework into their sites. Searching for a short-tail term like "NFL news" on Chrome serves up a carousel of news-related items from publishers working with Google's AMP project, which loads pages about 80% faster. Savage says publishers can still use Twitter tweets, images, videos, and iFrames on the Web page, but "this is Google's attempt to take back their space by adding speed and utility to the Wild West of search, making it much faster, searchable, and scrollable." The move also gives Google a viable way to compete with Facebook Instant Articles. Revcontent created what CEO and Founder John Lemp says the company committed code to the open source project to create a Google AMP-compatible solution to work with the framework. Comparing Google AMP with Facebook Instant Articles, he says "Instant Articles is closed, which is a way to control the publisher's and users' experience." Adobe also joined the movement by introducing Analytics on AMPs to support faster speeds for users, and Adobe Analytics capabilities for publishers.